"I was actually calm," said the bride. "I was ready for it to happen." They say good things come to those who wait, and bride Nakita Brown can certainly attest to that. 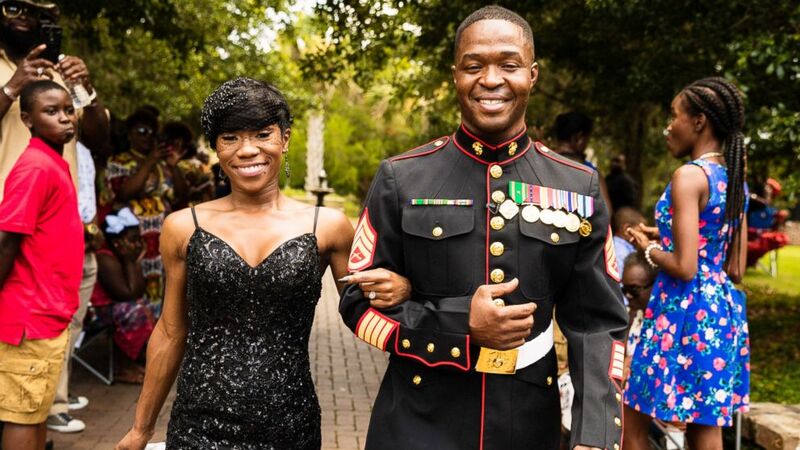 She and Rymario Armstrong, a Marine veteran, had been engaged for three years before they finally tied the knot in a beautiful wedding ceremony in Beaufort, South Carolina, on July 4. The catch? The entire thing was a complete surprise for her groom. “I was actually calm. I thought I’d be nervous and crying, but I was ready for it to happen and to marry him,” Brown, 30, told ABC News of the long-delayed nuptials. 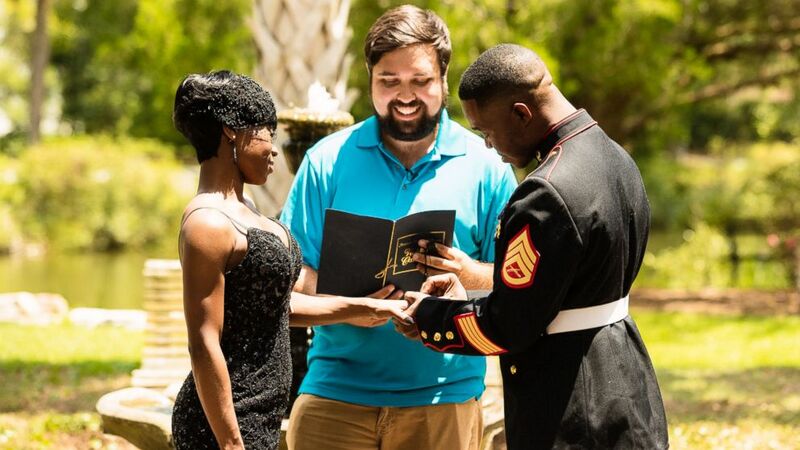 (AndreBrown.com/Elevatecreations.com) Nakita Brown threw a surprise wedding for her now husband, Rymario Armstrong, a Marine, in Beaufort, S.C.
Armstrong, 36, proposed to Brown on her birthday, April 15, three years ago. The happy couple originally wanted to get married on a cruise but the high cost of having their parents attend the ceremony on the boat deterred that plan. Then they decided they’d settle on a nice and easy courthouse ceremony, but as soon as Brown started shopping for the understated dress she’d wear, she had a change of heart. 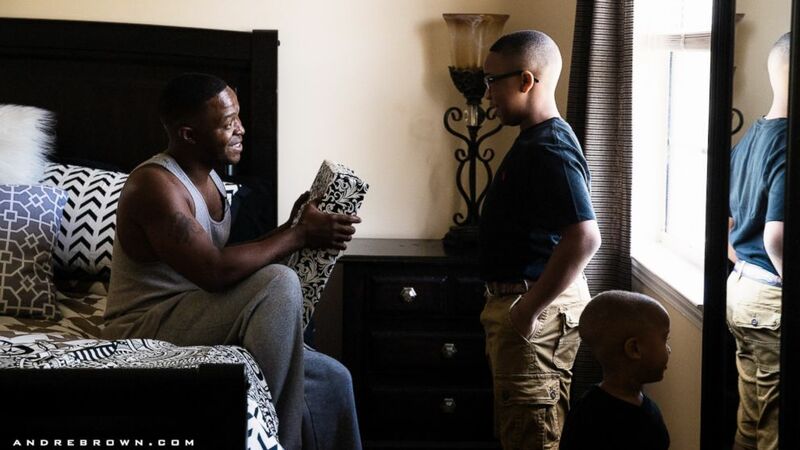 The first person she called to help her coordinate the massive undertaking was her brother, photographer Andre Brown. With multiple plans for the wedding ceremony getting foiled, Nakita Brown started getting discouraged, worried her fiancé would catch on. “After a while it stopped being fun, having to continuously call people who were out of town to change the date. But they understood,” she said. The bride had thought of every single detail, even getting Armstrong to write his own vows while he was overseas, but just needed a date to tie the knot to finally work out. It wasn’t until Armstrong retired from the military on June 30 that the two lovebirds were able to become husband and wife. 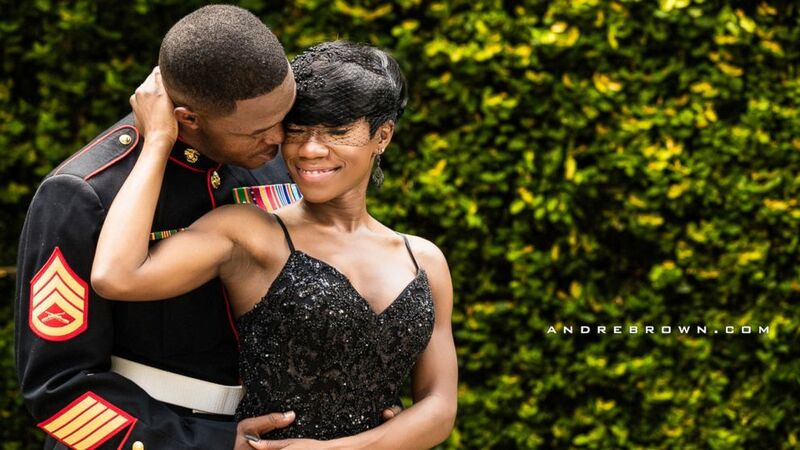 A big retirement party with all their closest family and friends was the perfect excuse to get Armstrong into his Marine dress blues, with the bride’s brother there to shoot photos and videos of the special occasion. At long last, everything was perfect. As an unassuming Armstrong stood underneath South Carolina’s iconic Palmetto trees in the scorching July heat, he saw his bride turn the corner and begin walking toward him arm-in-arm with her father. The two exchanged vows in the downtown park, thrilled to finally make it official. “When he was saying his vows to me his eyes were getting red and tearing up,” said Nakita Brown. But the groom wasn’t the only one overcome with emotion.